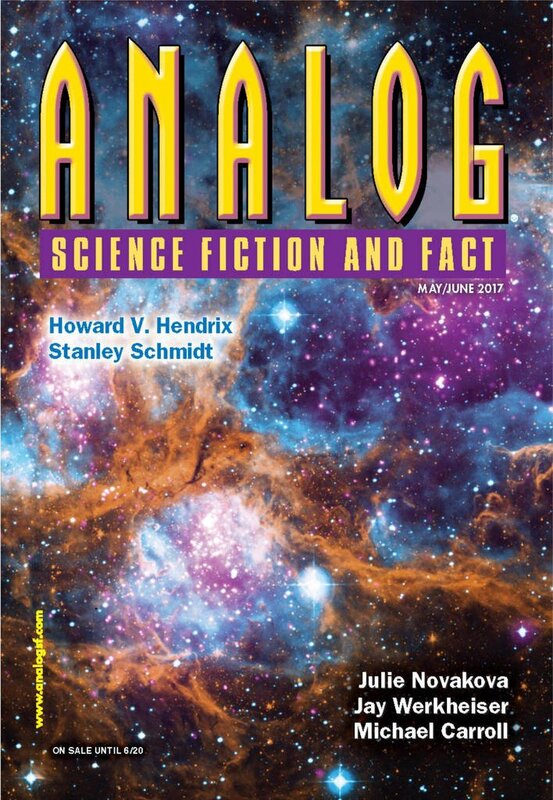 "The Chatter of Monkeys," by Bond Elam [bio] (edited by Trevor Quachri), appeared in Analog Science Fiction and Fact issue 05-06|17, published on April 20, 2017 by Penny Publications. Pro: The ending is such a shocker and yet so consistent with everything up to that point. 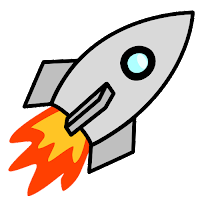 Rather than finding a way for the robot to fix the oceans and save the planet, they cut it up, stuffed bombs in it, and sent it to space to destroy the only humans who had a chance to survive. Everything is well-foreshadowed. We know about the bombs and the lack of a way to deliver them. We know the robot’s prediction that people can’t escape their programming. We even know Molly’s misdirection (saying the robot was damaged) but initially we assume she plans to send them a fake. And, of course, we know the robot can't defend itself. Such a dark ending and yet so effective! Big plus for the robot saying that it cannot override it’s programming. Con: There’s not much character development here. The strongest character is actually the robot. The Colonel is a cardboard villain. He’s mean just because he’s mean.